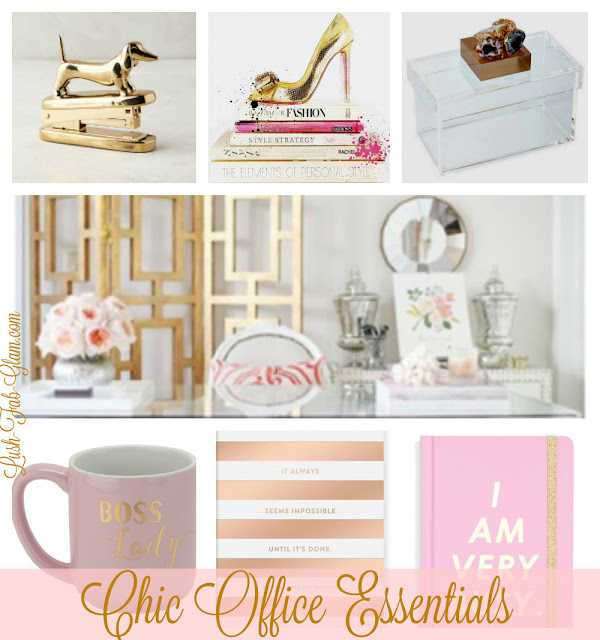 Gone are the days of bland and boring office essentials with high-end designers like Kate Spade creating fabulous office essentials that turn your work or study desk into a space of glamour and elegance. 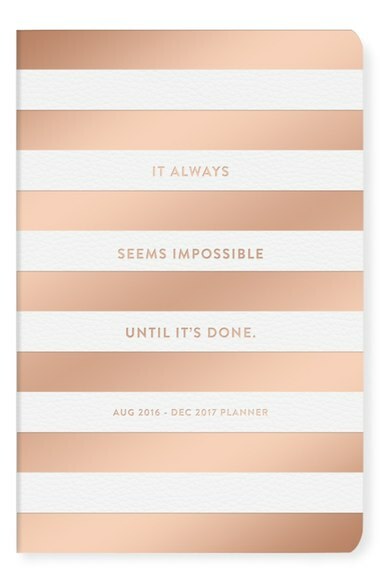 Where everything from staplers to paper clips serve as inspiration for the creative mind because of their fascinating designs, rich metallic colors and overall usefulness. Today we continue our designing a chic office space series by exploring your options when choosing your supplies, storage, organization, stationery and more chic office essentials that will make your work space stand out and be a beautiful source of inspiration to you. 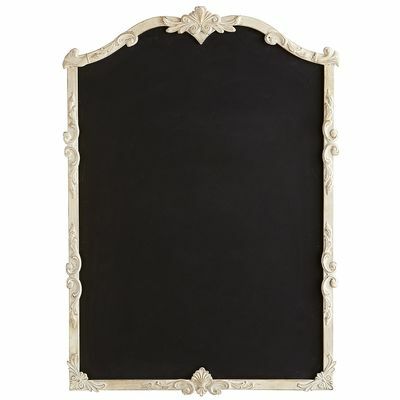 Read on to see our picks for must-have office essentials! 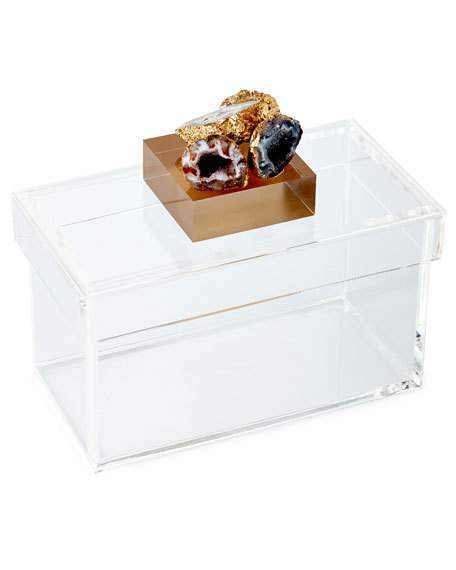 Lucite and agate storage box. 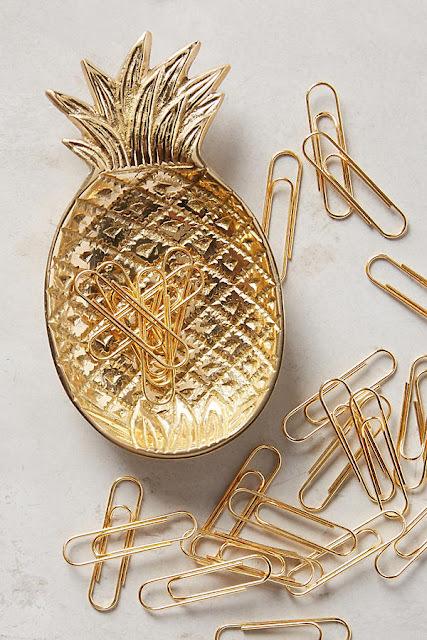 Gold paper clips and pineapple dish. See the full gallery of chic office essentials below. Fab Tip: Click on the images for product details and to shop. Stay tuned for more fab tips on designing a chic office space, in our upcoming posts we will explore lighting options, desk top and wall decor for your office. How do you stay organized at work and which featured office essentials do you love? Share with us by leaving a comment below. It sure is and so adorable too, perfect for dog lovers! Thank you, glad you're enjoying our posts :). One of the best post I've seen all day! Thanks CrowdyHouse we only feature the best! :-).